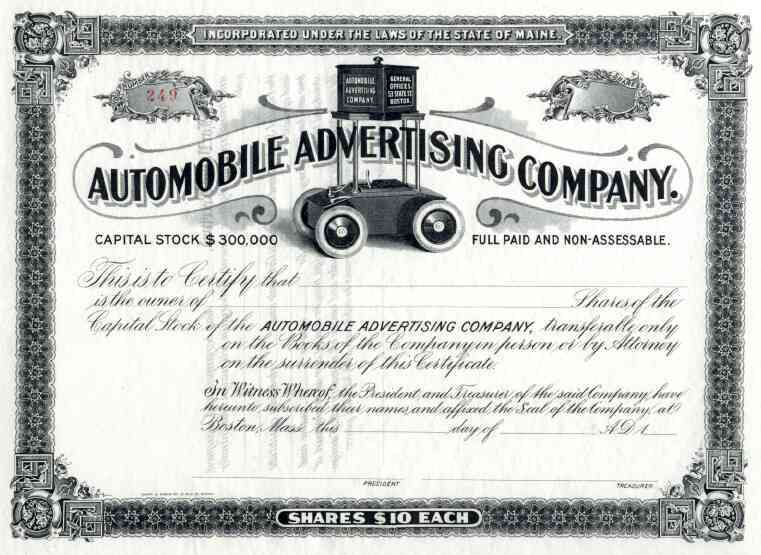 Early 1900s Automobile Advertising Co Stock Certificate. Nifty unissued scripophily certificate. Unusual vignette shows strange looking vehicle with raised advertising platform above car. EF condition.